PT Wijaya Karya (Persero) Tbk – WIKA is a leading state-owned general construction company in Indonesia, based in Jakarta. WIKA has business focus rests on 5 business pillars: Industry, Infrastructure and Building, Energy and Industrial Plant, Realty and Property, and Investments. WIKA is a public-listed company and is majority owned by the Government of Indonesia. WIKA’s shares are listed on the Indonesia Stock Exchange (IDX) since 2007 under reference code WIKA. As of December 2017, WIKA is 65.05% owned by the Government of Indonesia and 34.95% by general public and investors. 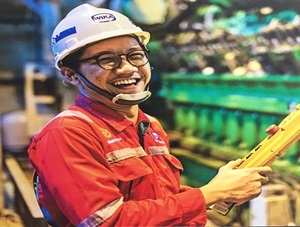 WIKA was first established in 1960 and initially registered as Perusahaan Negara Bangunan Widjaja Karja (PN Widjaja Karja) with principal business in the electrical, water pipe installation. Later in 1972, PN Widjaja Karja renamed into PT Wijaya Karya.